Steve Hovde established Hovde Financial’s Chicago office in 1988. 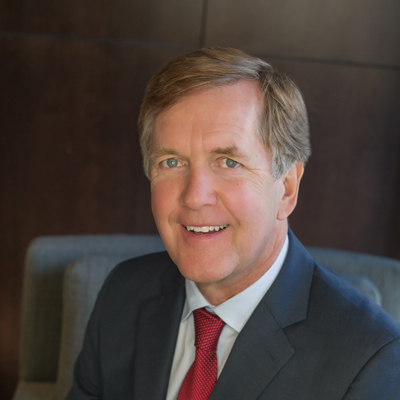 As President and CEO of Hovde Financial, Mr. Hovde is responsible for managing its investment banking activities, and the strategic development of mergers and acquisitions of bank and thrift institutions, branch acquisitions and divestitures, and capital transactions. In this role, he has negotiated transactions in excess of several billion dollars in deal value and provides the firm’s investment bankers with technical and strategic advice on client transactions. Mr. Hovde serves on the boards of directors of a $1.6 billion-asset community bank and a $500 million-asset community bank. He is also on the board of directors of Good Shepherd Hospital in Barrington, Illinois, and serves as a trustee of several charitable foundations.